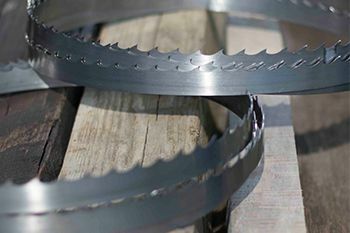 Using the best sawmill blade is key to increasing production, improving cut quality, and reducing costs for your sawmilling or resawing operation. 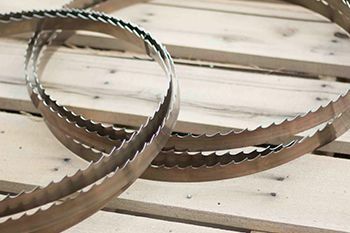 From sawing green softwoods to abrasive hardwoods, Wood-Mizer manufactures an extensive range of sawmill bandsaw blades with more than 100 combinations based on profile, width, thickness, tooth spacing, and alloy for any type of sawing or resawing application. 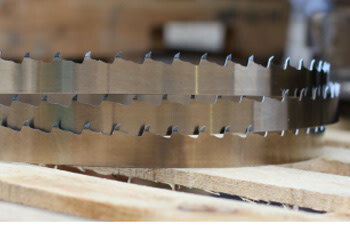 Wood-Mizer employs an entire team of blade professionals with decades of industry experience who are rigorously involved in every stage of the bandsaw blade manufacturing process from the selection of raw materials and engineering the best manufacturing equipment to performing more than 100 tests and inspections all the way through to the final grind. 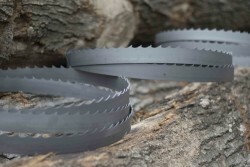 Each Wood-Mizer bandsaw blade tooth is precisely set by computer-controlled equipment and completely profile ground tip to tip using super abrasive CBN grinding technology to ensure you consistently receive the highest quality blade performance. 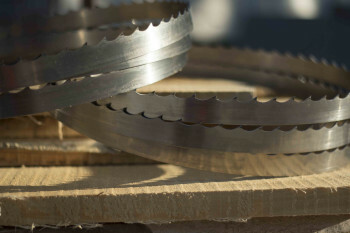 Made in the USA to fit multiple sawmill brands and models, you can count on Wood-Mizer sawmill and resaw bandsaw blades for unmatched quality, accuracy, and performance across the board. Also keep your sawmill blades sharp with Wood-Mizer ReSharp® bandsaw blade sharpening service and extensive line of bandsaw blade sharpeners and setters. Wood-Mizer’s Vortex™ dust removal blade will clear the dust from your cut like no other blade on the market. This extremely unique profile has generated extraordinary results in high production pallet factory tests.